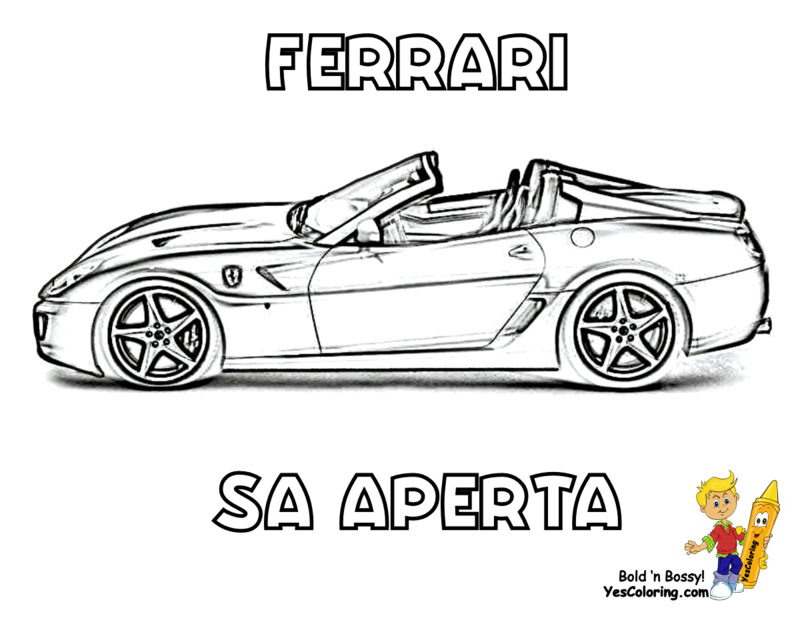 Workhorse Ferrari Coloring Pages 02! Yes, many of us have made attempts on sketching that dream car of ours. More often than not it has made us frustrated that it looks not even close to what we had in our mind. I finally learned to get the right proportions and make the sketches not look like it was a pile of garbage and instead make them look like a Cadillac, Shelby, Corvette, Ferrari or whatever I try to sketch. What you need to do is to look at the outward lines of the car. ...My best advise is to leave the wheels while you are sketching the lines of the cars. Why you may ask, well simply because the wheels are usually the hardest part of car sketches. Then when you are starting to get satisfied with the general shape of the car-sketch, try adding the wheels. But don't be surprised if getting the wheels correct takes longer time than the the whole car! How long does it take to do a good car sketch then? Well it is very different, depending on how the perspective of the car is. Usually getting the right proportions should take between 1-3 hours. Then fine tuning it is what take lot of time, I can spend easily 10 hours on a car sketch before starting to shade it! So it all depends on how much patience and time you want to spend on this sketch of your dream car! The kind of pencils I use is different. But try some and you will probably find the ones you feel most comfortable with. Then go with that. And remember to not be afraid of using the eraser! Car Coloring Sheets of Berlinetta - California T - F50. 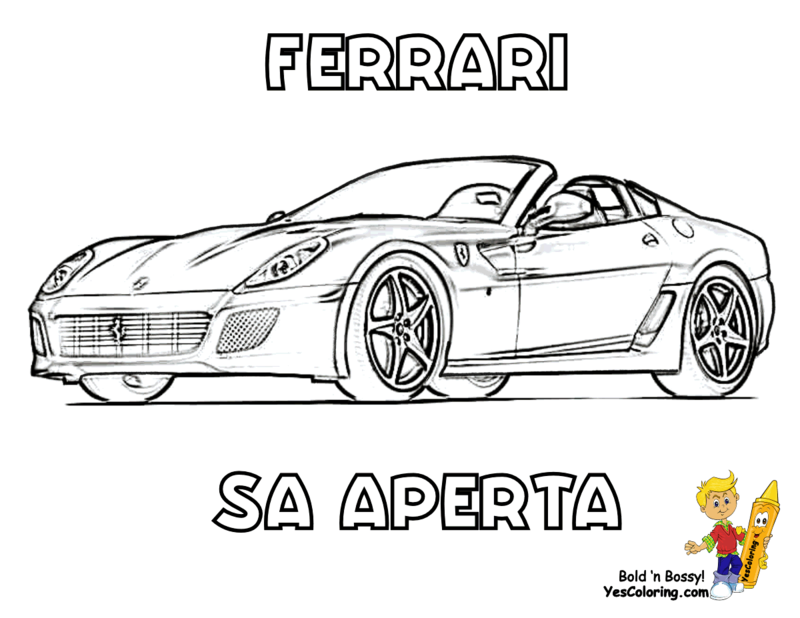 Boys Coloring Page of Maranello - P540 Aperta - SA Aperta and 599. Ferrari Car Coloring Picture Of Steering Wheel Auto Part. Easy Coloring Page of A Ferrari Auto Racing Helmet. Kids Coloring of Ferrari Sports Clothes Puma Ferrari Shoes. Official Ferrari Website Where You Can Find All Their Stuff! Ferrari Clothing: Puma Ferrari Shoes and Ferrari Helmet.